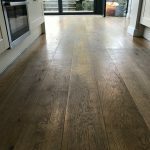 Oak floors have been worn out as it is kitchen area used by a family of 5. The traffic is high as all the cooking, eating & partying happens there, kitchen is a heart of the house where all family gatherings take place. 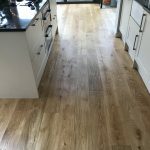 They needed a solution which not only restores the former beauty of the solid oak flooring, but it is also easy to look after and furthermore can take a lot of traffic. 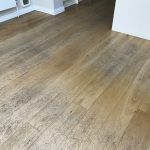 It is easy to maintain, very durable and can be topped up on regular basis without the need for sanding. More about the difference between oil & lacquer finish you can find here. 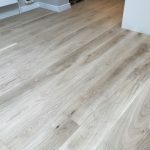 The floor was well fitted and there was no need for any floor repairs. 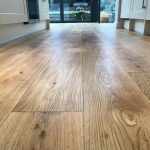 Oak floor is a hardwood, so it is very crispy and if moisture levels are fine it sands very nicely. 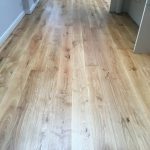 First, we removed the old finish to avoid any unwanted reaction with new finish. 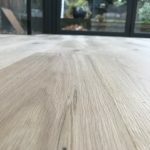 Next few steps were polishing steps to get the oak floor to scratch free look. After every step of sanding we got on our hands and knees to make sure the sanding was adequate. 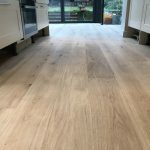 We carried out as much sanding during the first day to allow the family to use the floor in the evening and we started early morning the following day in order to apply oil as soon as possible. 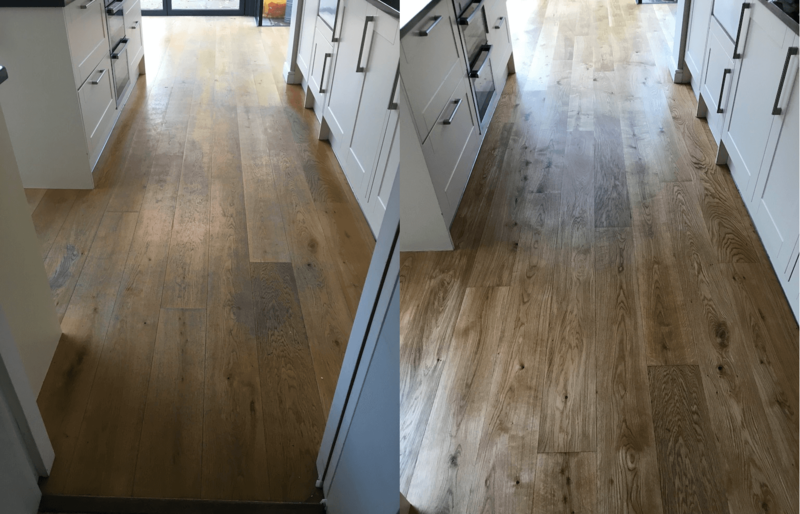 After floor was finished, we gifted our client a free bottle of cleaner followed with advice how to look after oiled floors. 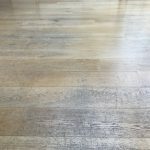 You can read more about maintenance of oiled floor here. 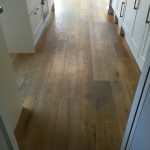 Client loved the outcome – very natural and fresh look but was a bit concern as the oiled floors seemed unprotected. 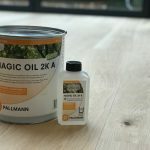 We did this job before Christmas and schedule the visit after New Year’s to assure the client that there was nothing to worry about as Magic Oil that we have used protects the wood from within and seals it. 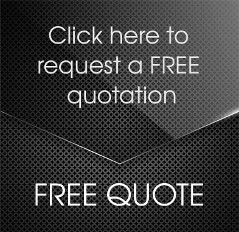 They have the best product on the market and 2 year warranty on the finish from us as approved Parkettprofi contractors. 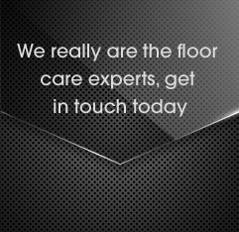 We visited the client in February and he was no longer concerned about the floor. 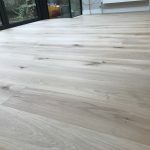 He was very happy with the end finish of the floor and its performance over holiday season and is willing to do his living room in near future.